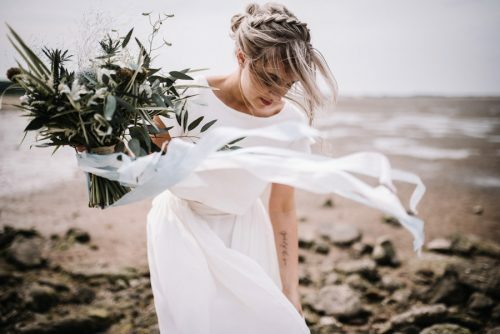 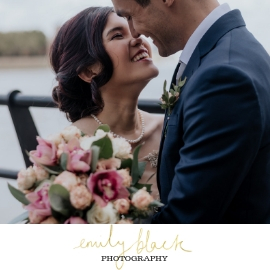 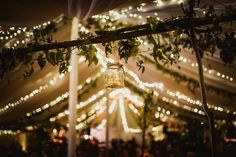 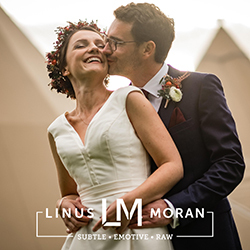 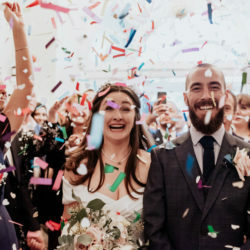 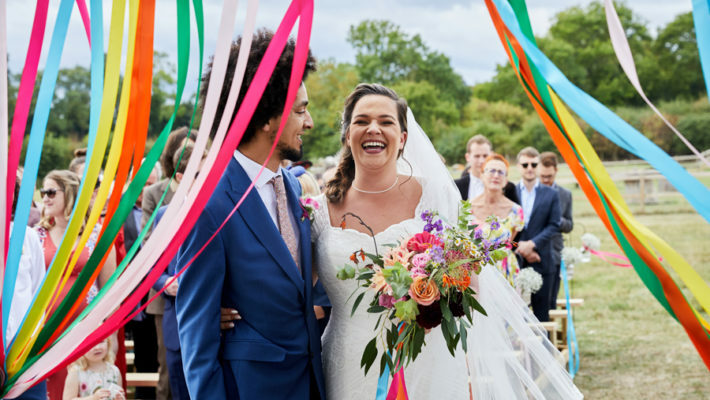 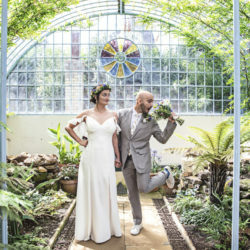 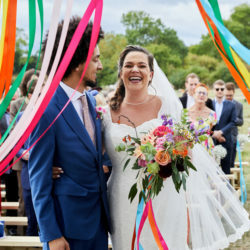 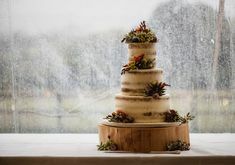 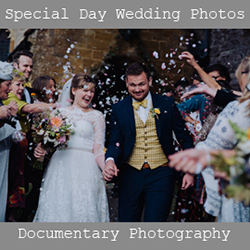 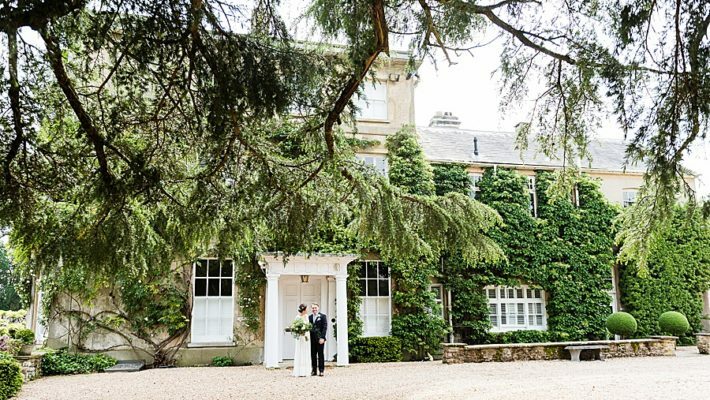 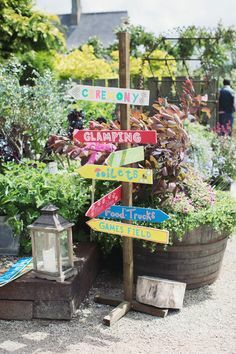 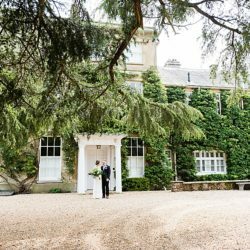 Lovers of tropical colours, vibrant details and playful wedding styling will enjoy today’s fun wedding feature from sunny Suffolk, with wedding photographer Ayshea Goldberg, one of our lovely English Wedding Blog sponsors! 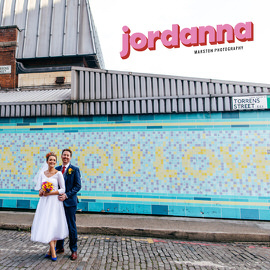 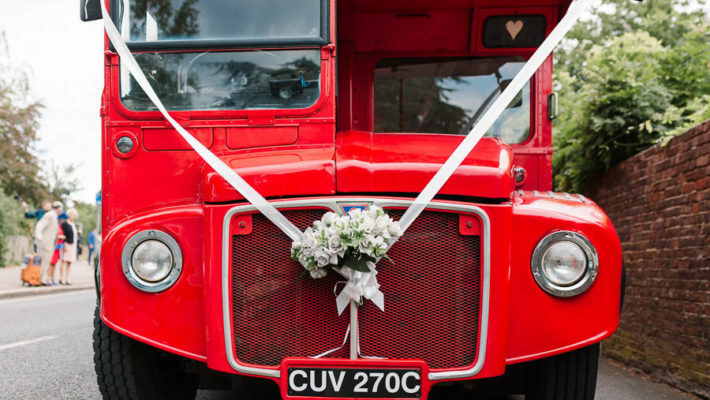 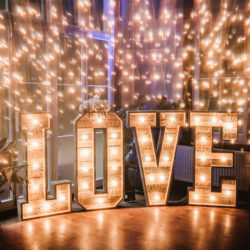 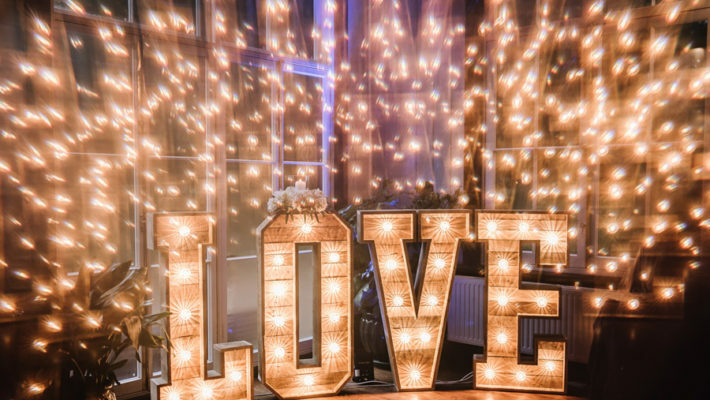 This is fabulous, funky and bold wedding DIY… and it rocks! 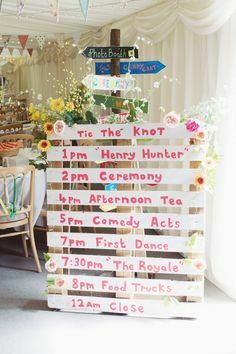 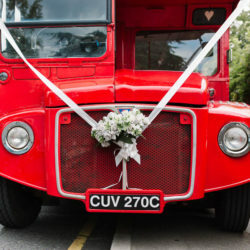 This wedding at the http://www.westletoncrown.co.uk was on such a hot summer day. 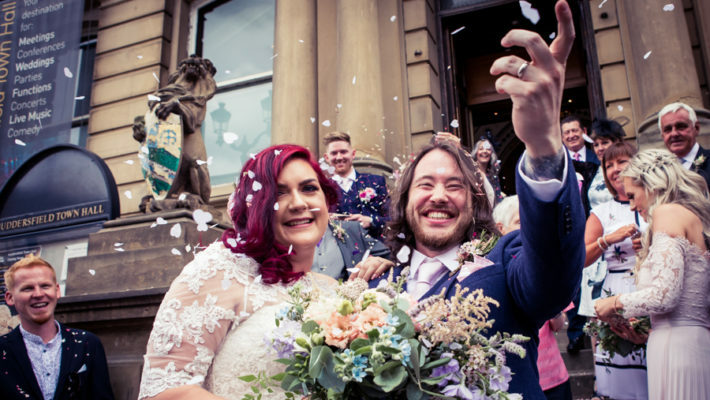 Jess’s tropical colour scheme looked amazing on such a sunny day. 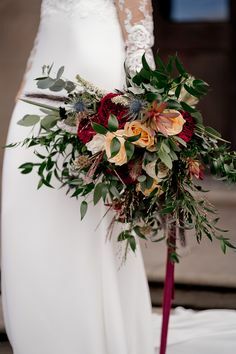 Cerise pink and fiery orange bouquets and centre pieces really popped against the cool black and white venue décor. 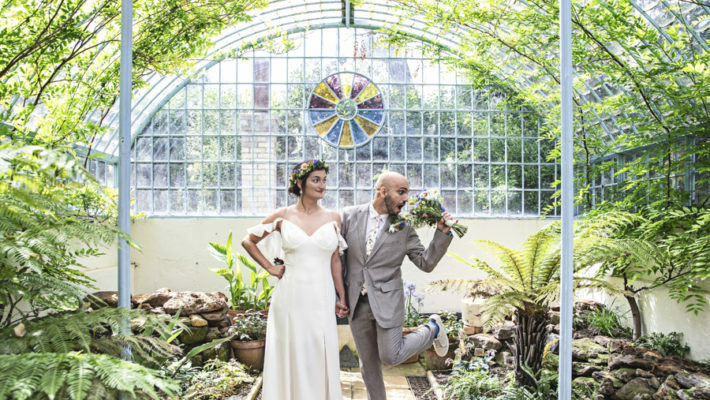 The homemade pom poms in the skylight were a fun touch and tied the styling together really well. 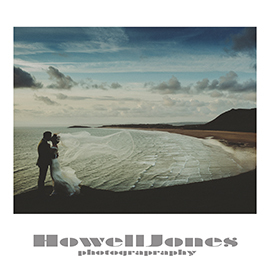 I loved that Jess and Ben had planned to go on a drive after they said ‘I do’ to the beach. 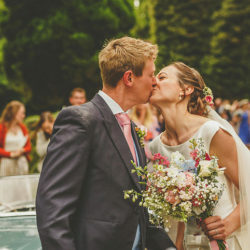 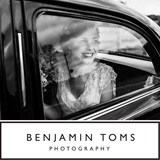 We’d planned to have some personal portraits and for them to enjoy a drive through the countryside in their vintage car. 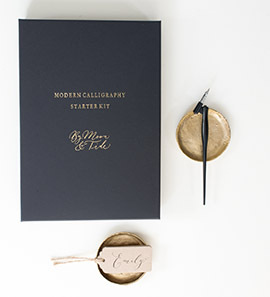 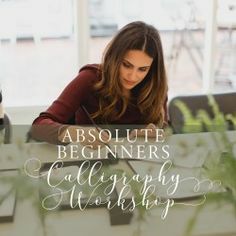 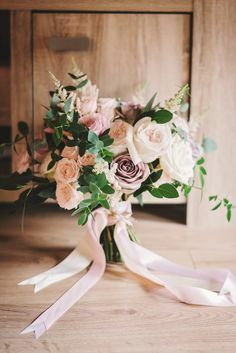 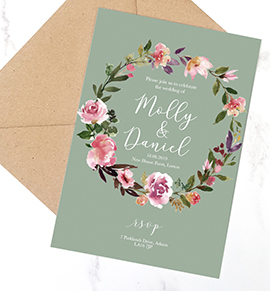 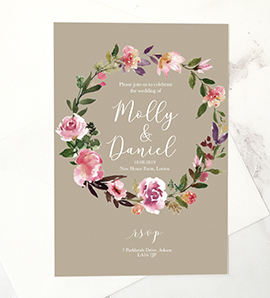 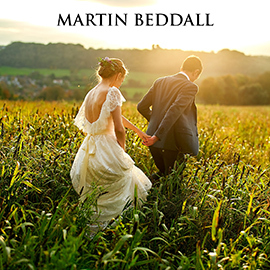 Wedding stationery – spelt with an ‘e’, folks – can be a labour of love, a crafter’s delight or a daunting challenge if you plan to create your very own design from scratch. 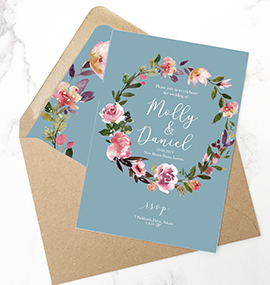 But we have the answer – with lovely printables from Brighton-based Connie & Joan. 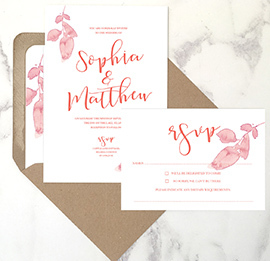 They’re super sweet, perfectly on trend and designed to make your wedding stationery-making days easier! 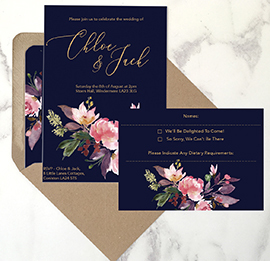 Connie & Joan‘s wedding stationery printable templates are aimed at making weddings more affordable. 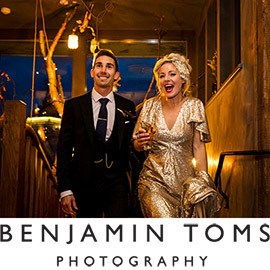 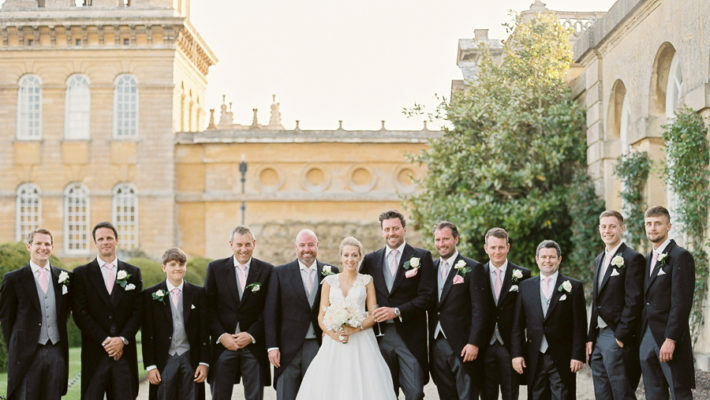 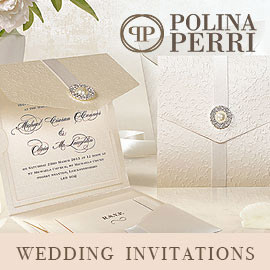 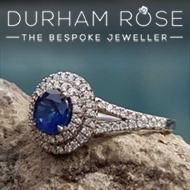 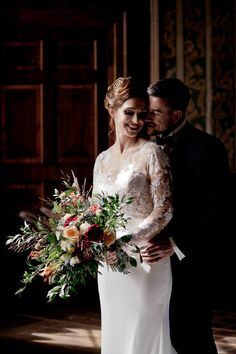 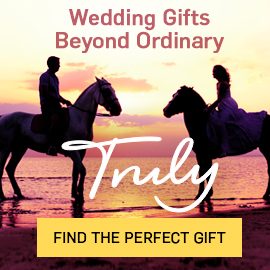 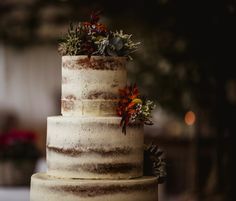 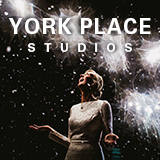 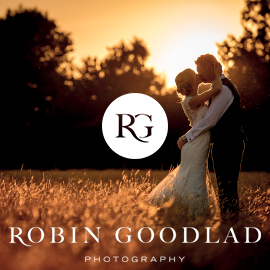 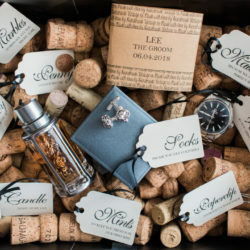 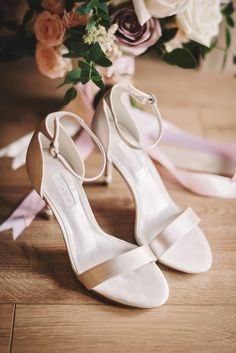 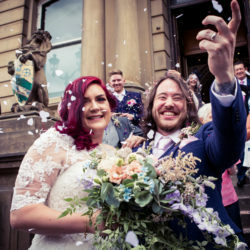 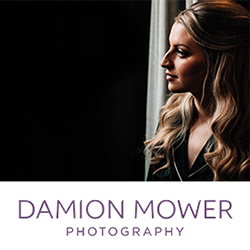 They’ve helped hundreds of brides and grooms around the world with wedding stationery items, including invitations, RSVPs, guest enclosures, place cards, table numbers, thank you cards, menus, order of service, signage, table plans, gift tags and other items. 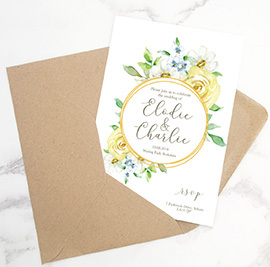 Connie & Joan are designer Lizzie’s two beloved grandmothers, the inspiration behind the name of this wonderful online wedding stationery brand. 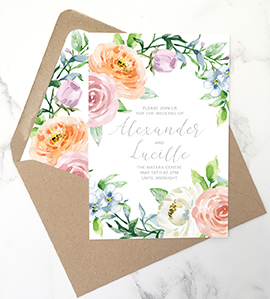 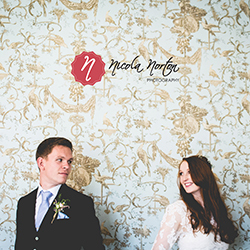 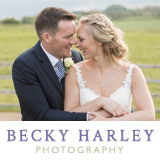 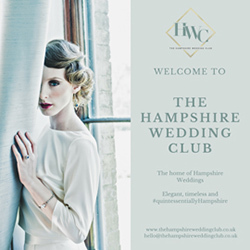 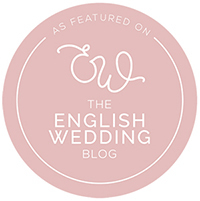 Lizzie is based in Brighton and sells her printable wedding invitation templates worldwide.